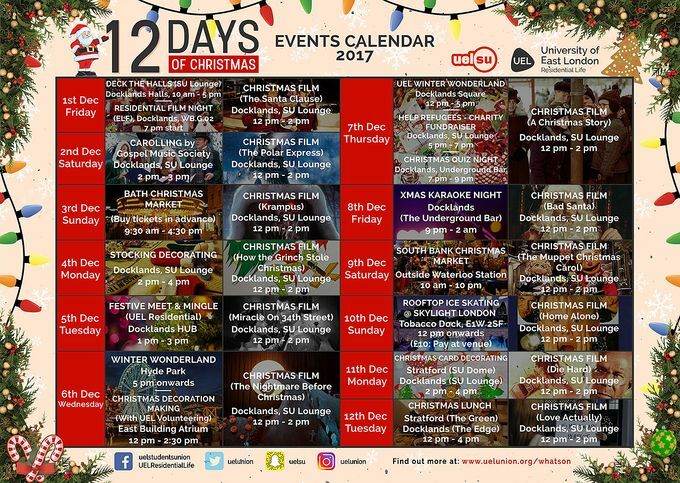 What better way to celebrate the holiday season at university than with your mates and a little help from UELSU. We have tons of activities lined up to get you in the holiday spirit, so check out the planner and join us for a Merry UEL Christmas! Go to UELSU's website for more.